Vacio provides a classic fit to encompass all sides of Macbook with a stylish protective barrier on all edges. Manufactured from the highest quality , this cover is designed to be smooth and supple, making it a pleasure to hold and use. Design with ultra thin and light weight features to keep the beauty of macbook and give you the excellent grip. 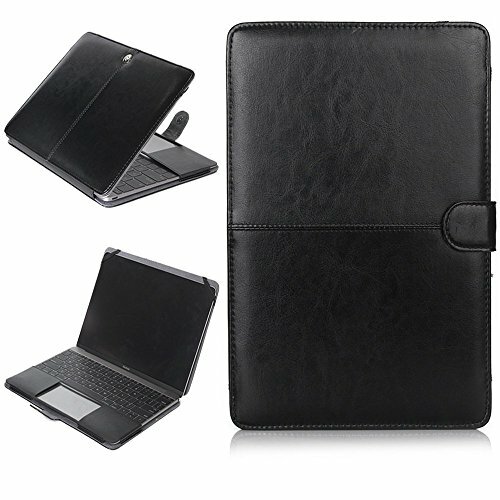 High Quality PU Leather Material can protect your Macbook from fingerprinted, shocking and scratching etc. Open cut-outs make you more convenient to easily put on or remove, fully access all ports and buttes without remove the case. Designed specifically for MacBook Air 11.6 inch (Model number:A1370 or A1465), high quality finish and premium looking, it looks luxurious and is a nice choice to carry around. This portable and fashionable bag is perfect for carrying your MacBook when you go to school, to work or to travel, your MacBook really needs one.